The World Organization of the Periodical Press (WOPP) regularly publishes an information magazine, spraid over the world, the “World Periodical Press News” which all its members are, by priority, the addressees. Each and every member of the World Organization of the Periodical Press is entitled to submit articles which are likely to be published in this magazine. The texts will be of 5.000 signs maximum. The photographs will be submitted under digital form: JPG file, 300 dpi resolution (dimensions 10 x 15 cm).  The World Organization of the Periodical Press diffuses among its members all and every communication or documentation it judges appropriate to diffuse.